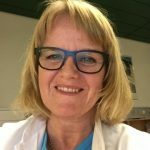 Pernille Ravn, DmSci, associate professor, Dr.
Senior consultant at the department of Gynecology and Obstetrics, Odense University Hospital, the subunit for benign gynecology and gynecologic endocrinology. Has been working in the field of contraception, gynecologic endocrinology and adolescence for the last 20 years. Contact the ESC Central Office at info@escrh.eu to contact Pernille Ravn. Your email will then be forwarded.